There comes a time in all kitten owner's lives where they're faced with a tough decision. Do I really have to let this precious little cat out of my sight for more than 2 minutes? There comes a time in all kitten owner’s lives where they’re faced with a tough decision. Do I really have to let this precious little cat out of my sight for more than 2 minutes? What if something happens to them? Can’t we just keep them indoors forever? Argh! A friend of mine once mentioned to me how guilty it made them feel keeping their cat indoors, and I understood their concerns perfectly. I had similar thoughts when we first got our two cats. I couldn’t bear to let them out of the house unsupervised. But there’s always that creeping sense that a cat’s right to roam freely and explore is set in stone, and your decision to keep them indoors is depriving them of that right. I’ve since caved and let them venture wherever they like, I simply couldn’t stand the guilt of seeing them stare out of the upstairs windows at the world going by. You might be surprised to hear that, had I taken the time to research the topic a little more thoroughly, I may not have made the same decision. Is It Really Cruel To Keep A Cat Indoors? It’s something that’s becoming more and more popular. Indoor cats have been a staple in Continental Europe countries for decades already, where most people in towns live in apartments. These cats have never known any different, and as such are perfectly happy remaining indoors curled up in a nice cozy cat bed. 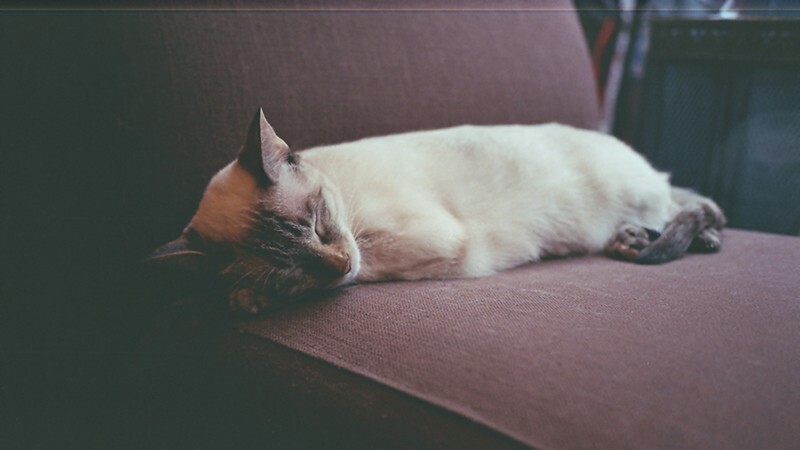 Some well known zoologists such as John Bradshaw are even big advocates of the benefits that indoor life has on cats. He’s written a well researched book called Cat Sense based on “feline science” that’s well worth a read for any cat owner looking to provide their cat with a fulfilling life. In the book he covers the topic in some depth, explaining that outdoor cats are often terrified by other cats who invade their territory. 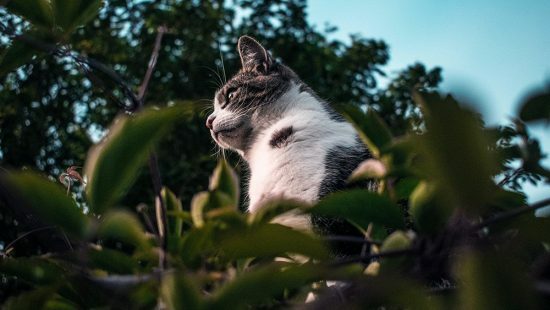 While it’s easy for us to see these incidents as “part and parcel” of outdoor life, they can be very traumatic experiences for your cat. 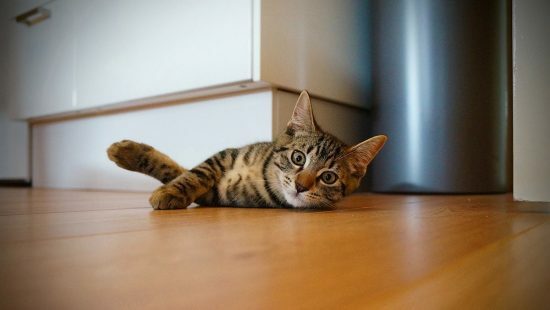 When Is It Right To Keep A Cat Indoors? Firstly, let’s stress a note of caution. It’s not a good idea to try to confine cats that are already accustomed to the outdoors to a small space. Forcing cats that have been raised to hunt outdoors to stay indoors can also cause stress. Suppressing natural instincts in any pet is likely to lead to depression and a decrease in overall well-being. With that said, if you share garden space with another particularly aggressive cat, then it may get to the point where something has to be done. 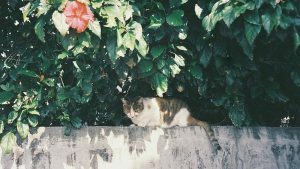 Sometimes the only option is to keep a physical barrier between the two cats and that may mean keeping your cat indoors. In which case, you should read our section below on how to keep cats entertained and engaged in an indoor environment. Cats need mental and physical stimulation, quite a lot of it. Luckily, cats can find enjoyment from playing with almost anything. Be sure to keep your house full of exciting gifts for them, and spend as much time as you can keeping them company. Something most indoor cats will miss out is scratching hard surfaces. Most of the time, you’ll find they choose to make up for this by destroying your furniture. Not ideal. There are plenty of options for scratching posts, and even cat towers that allow cats to climb, scratch, and play safely indoors. Most are made either of cardboard or sisal rope, two materials cats are drawn to that will save your furniture from assured destruction. Remember, you can always take your cat outdoors on a lead, or make use of an outdoor enclosure for cats. It might seem like a terrible idea if it isn’t something you’re used to, but cats that have been raised indoors are usually keen on staying close by in a strange environment.